Fortunately, there are a number of solutions available. 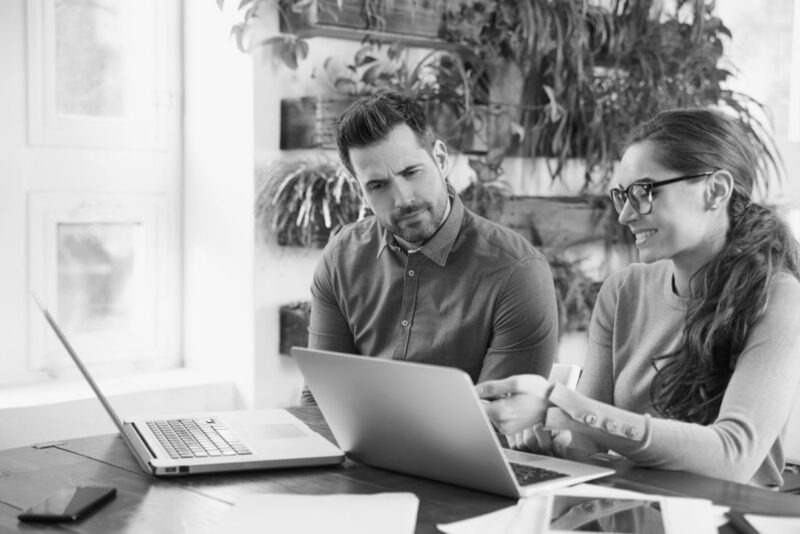 The right one for you will depend on a number of factors including your personal goals and income level, which you can discuss with a financial advisor. 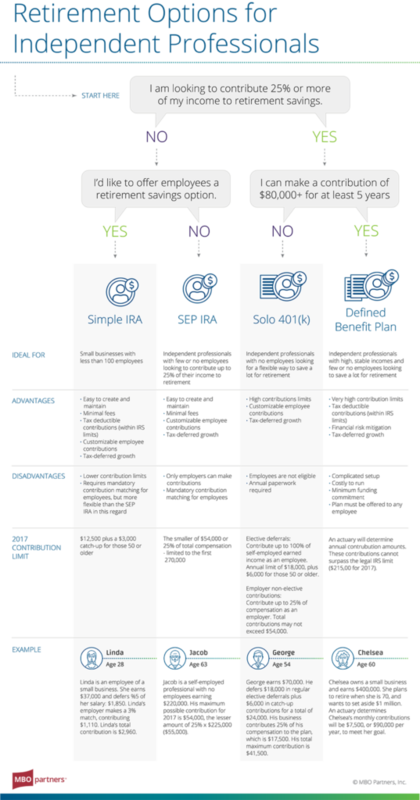 Here is a summary of the retirement options available to independent contractors. Answer the questions in the infographic below to discover which one is best for you.